I’m so pleased to be the final stop on Lynn A. Robinson’s Divine Intuition blog tour! 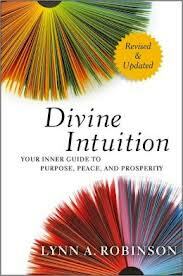 I’m delighted to announce the tenth anniversary edition of my friend, Lynn Robinson’s book, Divine Intuition: Your Inner to Purpose, Peace and Prosperity. This re-release features updated material, brand new exercises, a refreshed layout, and digital editions for all major e-readers. Please watch below as I interview Lynn about her book. Yesterday’s post can be found on Cynthia Sue Larson’s Reality Shifters blog and all of the week’s entries can be read through Lynn A. Robinson’s Gut Truster’s Blog. Independent filmmaker, author, happiness coach and speaker Lisa Cypers Kamen creates these blogs to entertain, enlighten and educate our service men and women along with their families as well as support our troops. 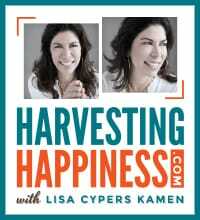 To contact Lisa, email her directly at lisa@harvestinghappiness.com and check out her websites at www.harvestinghappiness.com , www.hh4heroes.org & www.harvestinghappinesstalkradio.com. 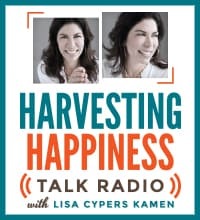 Harvesting Happiness Talk Radio with Lisa Cypers Kamen brings a fresh approach to the airwaves promoting happiness, well-being and global human flourishing by presenting a diverse and proactive collection of the greatest thinkers and doers who have devoted their lives to creating a better world in which to live. She is an expert in creating happiness, finding pathways to happiness, and building a happiness formula in her Harvesting Happiness workshops. Cultivate a happier life by tuning in weekly click here .Wednesdays at 12:00 pm to 1:00 pm EST. or download her free podcasts by clicking here.